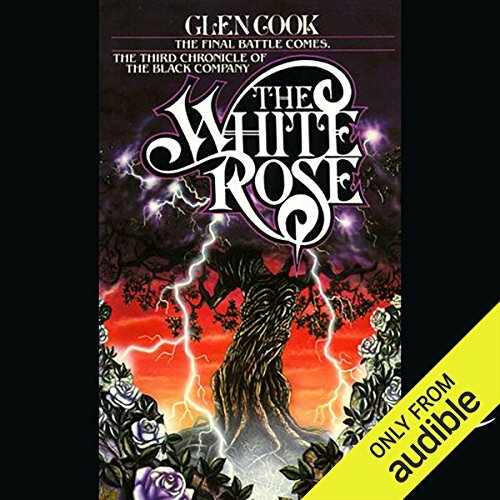 There is a weightiness to the events of The White Rose that make it feel like it could have been the last book in the series--albeit with a few loose ends here and there. And things have changed quite a bit from the feel of the first book-for better or worse. In a way, I much prefer the tone of the original, despite it's flaws. It isn't that The White Rose isn't good, it's in fact very good. 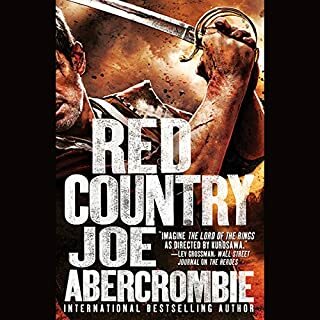 It's that it has moved so far from the cynical military fantasy that it was in the first and most of the second book. 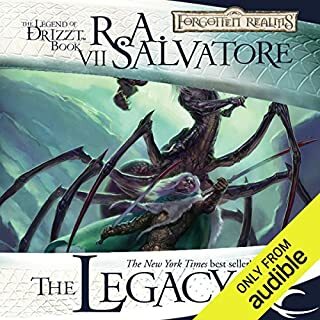 Starting with the end of Shadows Linger the series has shifted ever closer to the traditional epic fantasy. 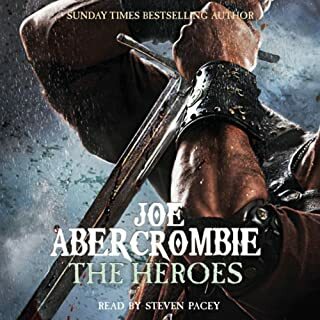 The characters, who used to be pretty rotten, have had most of their grit pruned out, and seem more heroic with every page. Well, maybe that's just character development. Croaker has also become increasingly important, and the Lady's interest in him has only increased over the years. 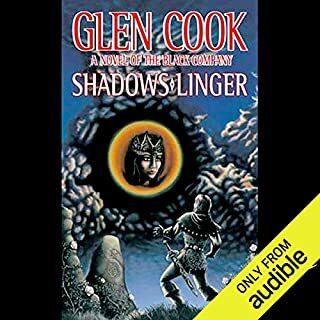 Perspective shifting continues in Shadows Linger, which this time around give us some much wanted insight into the back story of the Lady and her empire. In fact, the most interesting part of the book this time around are the messages containing the decoded history of the wizard Bowmanz. 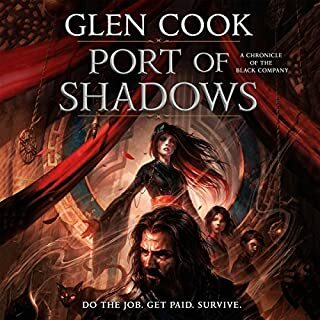 Other than all that, there's more fun antics with One-Eye and Goblin, some interesting but strange new creatures and characters, and ship-baiting galore between Croaker and you know who. Oh and the continued deconstruction of Raven is always so very tickling. Not much new to be said about the performance. Marc Vietor is still the perfect Croaker. Enjoy his narration while it lasts. 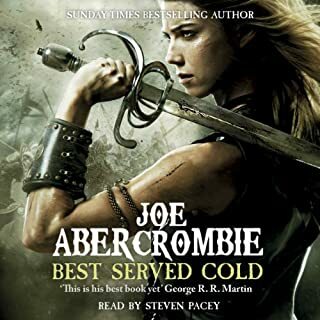 This is a satisfying conclusion to the first three books of the north. The only problem is that it leaves you wanting more. Then again, that's not a bad thing. What did you love best about The White Rose? 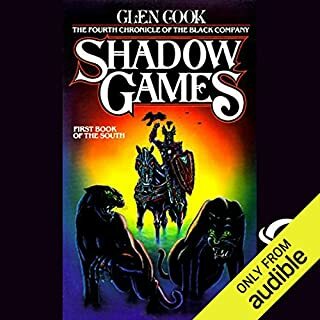 Glenn Cook is considered one of the original standard bearers of the grimdark fantasy subgenre. 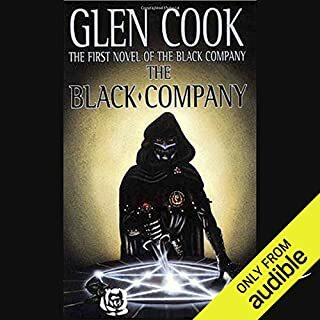 The first three books of his Black Company series were written in the 1980s, and while likely cutting edge at the time, they have since been eclipsed by far more complex and well written stories. 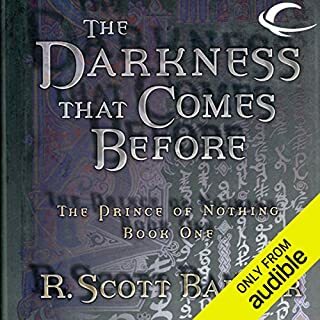 This series still offers an original take on the overarching fantasy genre, not following the Tolkien style storylines that so many fantasy authors of this era did, it presents a confused world of dark magic and mysterious characters. 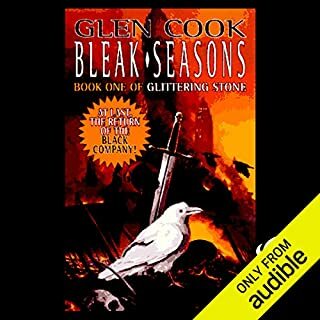 However, the plot, character development, and world-building may lack the depth to satisfy readers more used to modern tales such as those written by George R R Martin and his ilk. Marc Vietor brings this series to life with his reading style. 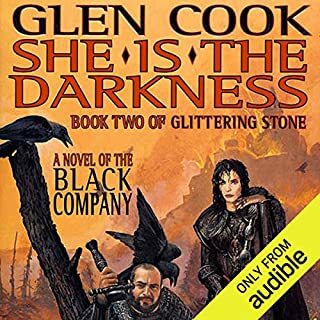 He rarely confuses character voices, and it is my guess that had I read these first three books (which comprise one, complete story arc) instead of listening to them, I would have been thoroughly disappointed considering the high praise The Black Company series receives from so many online fantasy series reviewers. All in all I recommend checking out these stories and doing so by listening to them as Mark Vietor has performed them here. 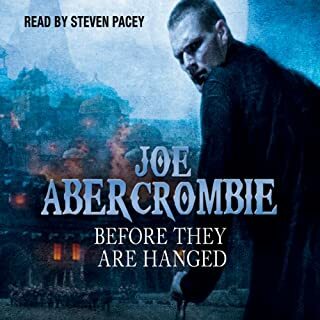 However, anyone who has read anything in the grimdark or larger fantasy genres that was written in the past decade will need to temper their expectations in order to find enjoyment. 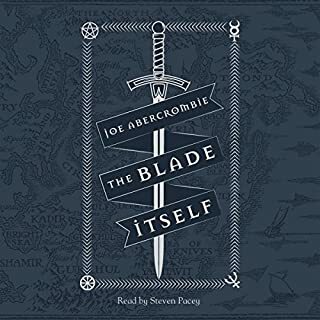 Best book of the series so far!!!! 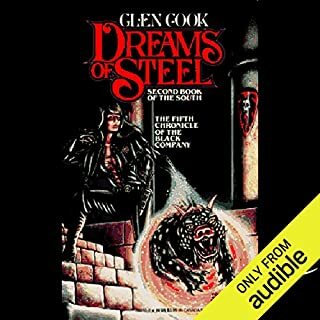 Already have book 4 and 5 ready to go, great fantasy novel series with pretty epic powers and characters. this story keeps getting better and better with each book. I can't believe the things that happened. Raced through the final book of this trilogy. A terrific finale as all pieces come together. 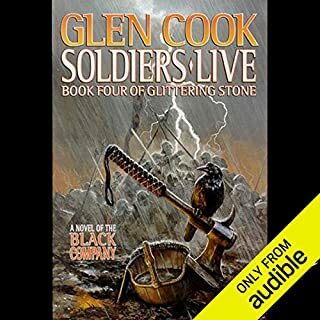 Great listen, nothing to complain about. 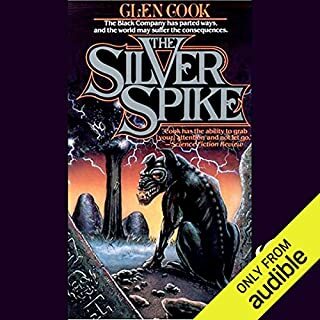 Story, narrator, and writing are all fantastic. A world easily lost in with compelling and full characters. the timeline changes in the beginning were confusing but once the story started going it was riviting. 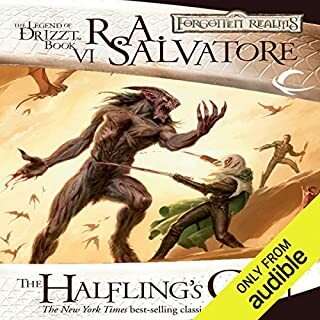 I appreciated the narrators consistent use of voices and I liked how they differed enough to be recognizable. Good Talent. The story is a good one. 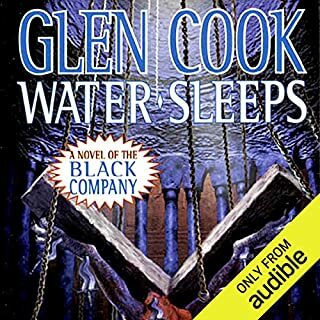 Glen cook is a good, gritty-military, fantasy writer.